Simple British Curry | Indian Takeaway | Online Order | Free Home Delivery. We were established in 1999 and running our family business with the ambitions of providing a high class south Asian dining experience to food lovers. Through the gentle introduction of more and more authentic dishes from the subcontinent, more deserting palates have developed, many have discovered Spice Zone. Indian food is different from the rest of the world not only in taste but also in cooking methods. It reflects a perfect blend of various cultures and ages. At Spice Zone we present various dishes as a sample of the variety of classic south Asian food found across the Indian sub-continent. 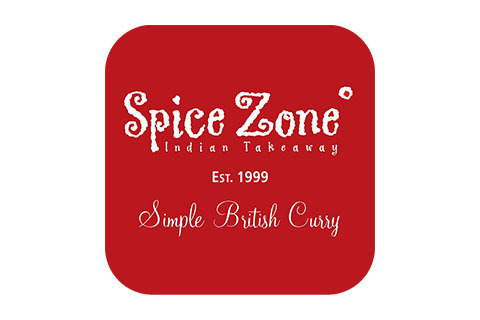 At Spice Zone we offer creative Indian dishes delivered right to your door. Our menu contains our perfected dishes created by our team of chefs who demand only the best. Delivery out is not just about the food, it’s about the whole experience. With a menu that is influenced by traditional Indian, you’re sure to find what you want to eat.